Art, by it's very nature, calls on and engages our emotions. And Spiritual and Inspirational art are playing a big roll in reminding us of the wonder of human existence upon this truly miraculous planet. Finding a piece of art that moves you can be like savouring a really cool glass of clear, sparkling water on a hot, hot day. What is the urge that causes one human being to create, to express? And for another to view or interact with that creation and be moved by it? It's about sharing; it's about connection. I believe it's a fleeting glimpse, a reminder, of how we all relate in our own true Home on the Other Side - unfettered by the hindrance of the ego. A presentation of Mykal Aubry's mind and heart expanding paintings. You are invited to dive into the visions, the sounds, the words....and to remember the Essence of You. This didn't "speak" to me but it might appeal to some of you. Beautiful paintings. Here you can see his artwork. It makes more sense when you can view the whole painting. This is a rough cut preview of a documentary in production about Meinrad Craighead, an artist in New Mexico. It's really amazing to watch this girl paint. You can view her paintings at her website. Marquita puts regular submissions on You Tube called Marquita's Art Journal where she actually paints a project. She does fun projects like painting her son's room and more serious pieces that cover modern black culture and beautiful Christian art from a black perspective. Her website. Artist's Video displaying his works. Alma’s family pioneered in Muskoka Ontario, Canada in the 1870s, where she lived most of her life. 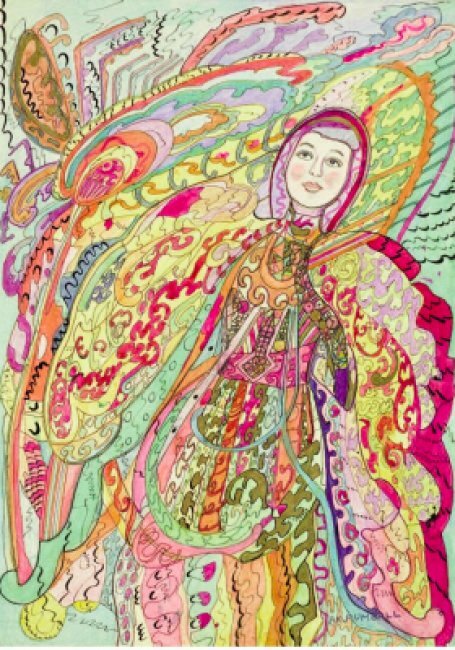 Following a vision of Jesus, she became a clairvoyant recluse, at age 50, creating prolific, intricate, colored pen and ink drawings, born of a rich inner life. She watched, as The Hand drew by itself, unfamiliar forms, faces, characters, separate from her consciousness. Tibetan gods, Joan of Arc figures and tales of Atlantis revealed themselves. Talented artists in many spiritual genres. See their artwork. 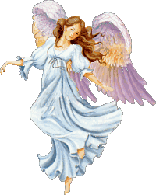 If you want an overview of spiritual art images that is on the Web this is a beautiful page to visit. Have you heard about intuitive art? Here are some examples. This page contains links to Google image pages for Baha'i, Buddhist, Christian, Hindu, Islamic, Jewish, Bushman, Canadian Aboriginal, Maori, Native American, Pagan and Tibetan Mandala spiritual art. I think, if you can look beyond the questions of "Why they appear" you can connect to the artistic beauty of crop circles. What do you think? Want to Try Some Intuitive Art? Has all this viewing of art got you wondering how you can express yourself and get in on the fun of experiencing?